With many historical attractions, natural landmarks, and big cities, Texas has a lot to offer visitors, from outdoor activities to indoor attractions. But when should you visit? The best time to visit Texas is in early spring, between late March and April. Winter's chill is gone throughout much of the state, the wildflowers are in bloom, and summer's scorching temperatures haven't arrived yet. Texas is a big state and thus, weather conditions throughout the year can vary dramatically depending on location. In general, the state has a combination of three different climates: continental, mountain, and marine. Most areas have hot and humid summers and relatively mild winters. The Eastern portion of Texas experiences a subtropical climate, with very warm summers and high humidity. The central portion of the state has dry summers, but equally arid (albeit cold) winters, and the remainder of the state is mostly a sub-tropical arid climate. Higher elevations, such as the Guadalupe Mountains in the west, experience cooler mountain climates. Because of the dramatic variations throughout the state, temperatures can fluctuate wildly as well. It's not unusual for Amarillo, in the state's northern panhandle, to experience a snow shower while it's 70 degrees Fahrenheit in Dallas. Houston and its nearby coast areas are subject to hurricanes from June through November, while tornadoes are a possibility throughout much of the state most of the year, though they are more common from March through August. More than 100 tornadoes typically hit Texas during any given year. January is typically one of the coldest months in Texas, but it still is mild enough to spend time outdoors—without the heat and humidity. Avid anglers, golfers, runners, and other outdoors-lovers will enjoy the Lone Star State in the winter. Texas starts years the way it ends them: with football. Taking over the NFL Cowboys' AT&T Stadium in Dallas each January, the Cotton Bowl has been hosting two of college football's best teams since 1937. The World's Longest Causeway Run and Wellness Walk stretches from Port Isabel to South Padre Island, a 10-kilometer run (and alternately, a 5-kilometer walk) across the Queen Isabella Causeway. The San Antonio Coffee Festival is an all-day celebration of all things java, and a great chance to explore the La Villita Historic Arts Village on downtown's River Walk. February is usually the last month of winter in Texas—although freak spring ice storms have been known to happen. Like January, temperatures are usually still quite mild although some of the state's northern reaches will experience snow and ice. Held in February, the San Antonio Rodeo and Stock Show is one of the largest and longest running annual rodeo and stock show events in the nation. The event runs for two weeks. March in Texas offers birding, flower trails, fishing, and, of course, spring break. This month is the peak of the state's bluebonnet bloom, which results in visitors flocking to the Texas Hill Country in hopes of spying fields loaded with the bright blue flowers. South By Southwest (SXSW) takes place in Austin in March. The popular music festival incorporates tech panels, film, and other media. Houston holds their stock show and rodeo in March. The event features the second largest fair in North America. Spring in Texas is generally beautiful but can also usher in a potpourri of weather across the state. You can expect everything from hot temperatures, cold temperatures, rain, snow, and anything in between on any given day in April. Don't let that discourage you, though—in general, April is mild and pleasant. The tiny town of Poteet hosts its annual Strawberry Festival in April. The event draws more than 100,000 visitors. Houston holds its Bayou City Cajun Festival in April. The city's proximity to Louisiana means that it retains many Cajun cultural and culinary traditions—and this festival celebrates them all. Temperatures typically warm up across the state in May. Dallas, for example, averages around 85 degrees Fahrenheit during this month. Intense spring thunderstorms—some of which include hail and lightning—aren't uncommon. Head to the Texas Hill Country to celebrate the Kerrville Folk Festival, which has run continuously since 1972. The 18-day festival features over 100 songwriters, concerts, arts and crafts, concerts for kids, and more. Pasadena's host its annual Strawberry Festival in May. This Texas favorite has strawberry eating and cooking contests, as well as barbeque, live music performances, and more. June is typically warm and muggy across the state. This is the first full month that schools are out of session, so you can expect crowds of families at most of the state's most popular attractions. Held in Bowie, Texas, Jim Bowie Days hosts a rodeo, a fishing tournament, a car show, and more every June. 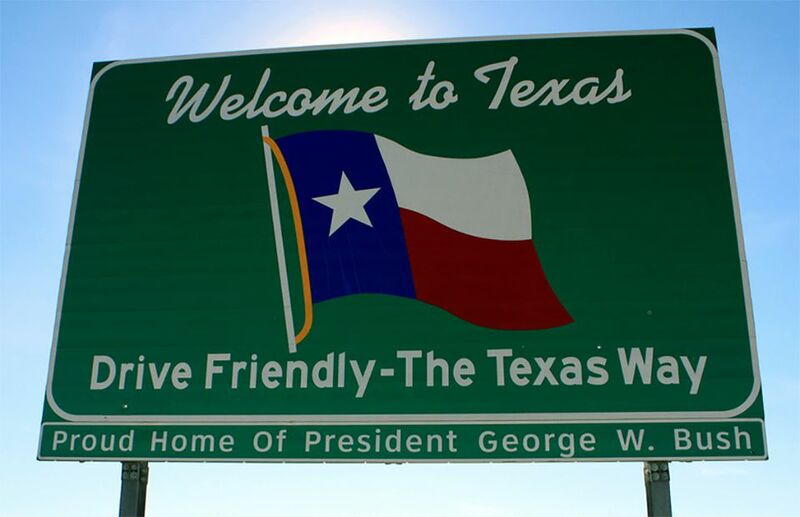 The town is named for the legendary Texas figure. Dublin, the birthplace of Dr. Pepper, celebrates the soft drink every June. The Dr. Pepper Birthday Celebration includes carnival games and food booths, as well as tours of the factory. July is the first full month of summer—and it feels like it. This is usually the hottest month, but just about every outdoor activity imaginable is available to Texas visitors. There are plenty of great festivals and events during July, including several centered around the Fourth of July. If you want to celebrate one of Texas's flying pests, head to Clute for the Great Texas Mosquito Festival. This annual event features a cook-off, a paintball tournament, karaoke, and a mosquito-themed fun run. Virtually every Texas town celebrates the Fourth of July, but Luckenbach, one of the state's smallest, holds a great Independence Day celebration that includes a massive picnic. August is still hot, hot, hot, but the thunderstorms that come along with early summer have usually died down. Most Texas kids head back to school during this month. The Texas International Fishing Tournament is the largest saltwater fishing tournament in Texas and is held each year in the waters around Port Isabel and South Padre Island. The tournament has bay, offshore, and fly fishing divisions and draws around 1,200 participants. Held in Wichita Falls, the Hotter 'n Hell 100 attracts over 11,000 cyclists from across the country who then ride a grueling, 100-mile bike course in the August heat. While the arrival of fall up north means some brisk days, September in Texas still mostly feels like summer, with plenty of warmth and sun. The seasonably mild weather comes along with food, music, nature, and, of course, football. Running from late September into October, the State Fair of Texas in Dallas is the state's largest fair and stock show. The month-long event features everything from art shows to carnival rides, and of course, plenty of fair food. During early fall, the sometimes oppressive heat of summer is gone, making outdoor activities much more pleasant. Although fall finds the cooler weather in Texas, the temperature is still warm enough to allow almost any type of outdoor activity. Fishing, hunting, camping, birding, and even water sports activities are viable fall vacation options. The Texas Renaissance Festival kicks off at the end of September and runs throughout September. The festival features New Market Village, a 55-acre recreation of an English town. Oktoberfest celebrates the state's rich German heritage during the first week of October. Held in downtown Fredericksburg, the event features German food, drink, and music. The continuation of cooler fall weather in November makes sight-seeing a joy, which is perfect as tourists will experience the advantage of reduced traffic during the autumn season. Texas guests will love being able to move more freely and add more to their outdoor list. The Terlingua International Chili Cookoff is held the first Saturday in November in tiny Terlingua, near Big Bend National Park. The event is considered one of the most prestigious chili cookoffs in the country. With the New Year coming up and the holiday season in full swing, Texas has plenty to celebrate in December. There are light trails and parades, college football bowl games, and unique fairs and festivals, all set against the state's generally mild winter weather. Held during the peak of the holiday season, Dallas's White Rock Marathon spans a 26.2-mile course around the city's most scenic urban lake. Football-crazy Texas hosts multiple college bowl games and high school playoffs each December.